New flexible transportation services combined with public transport offer a true alternative to private cars, which are typically expensive and can stand idle for up to 92% of their lives. The car-sharing service offered by 24Rent makes cars easy to order by smartphone. Privately owned cars sit unused a lot. At the same time, many Finns drive cars that are considerably over 10 years old and produce more emissions than newer cars. In addition, the construction of car parks according to building regulations prevents land resources being put to other uses and increases construction costs. 24 Rental Network rents shared cars. The cars are placed in locations that people frequent and renting them does not require a separate visit to a service desk. With the 24Rent service, the car is booked online, picked up using a mobile phone and dropped off at the pickup location once the customer is finished using it. A majority of the cars are hybrid vehicles. The vehicles of the company’s new Go now! service operate on a rate-per-minute basis and they can also be dropped off at a different location from where they were picked up. One shared car could replace the need for between 3 and 25 privately owned cars, depending on the evaluation method. 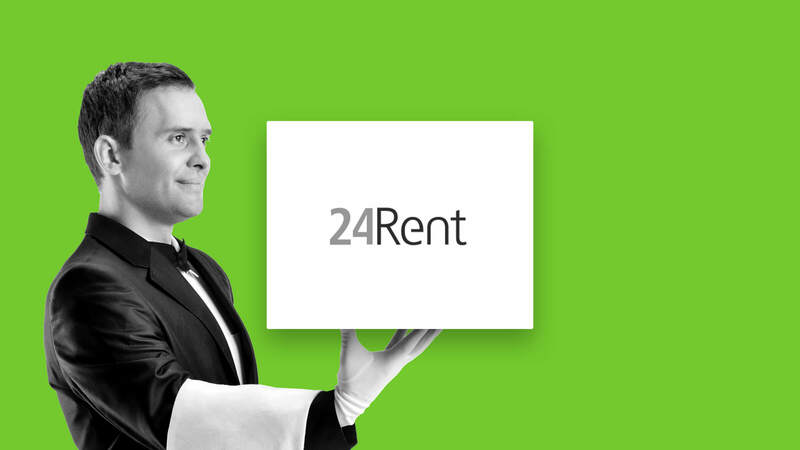 24 Rental Network’s business is based on renting cars on the internet without sustaining physical offices or a large number of employees. This allows the service to be scaled quickly. The company leases the cars, which allows it to avoid committing a large amount of capital to buying cars. 24Rent and Go now! services reduce the need for consumers to buy a car of their own. With 24Rent, the car can be rented in a flexible manner when you need it and with no monthly commitment. At the same time, you do not have to worry about other motoring-related costs, such as maintenance and insurance policies. Go now! complements public transport, for example, by offering a more flexible method for short-term renting, where the car does not have to be returned to where it was picked up. Relying on a shared-use vehicle instead of a privately owned car is also likely to increase people’s exercise levels and the positive health effects that result from more considerate car use.